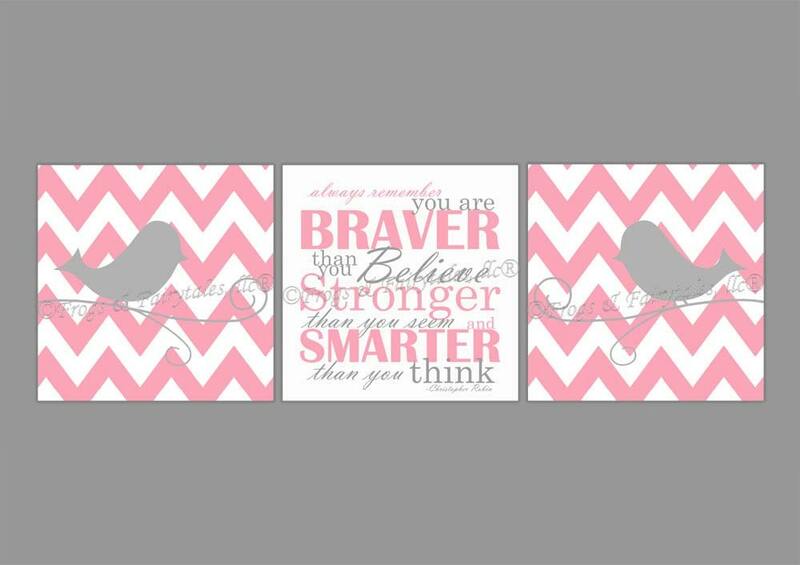 This adorable chevron canvas wall art set is the perfect addition to any little girl's room or play room! 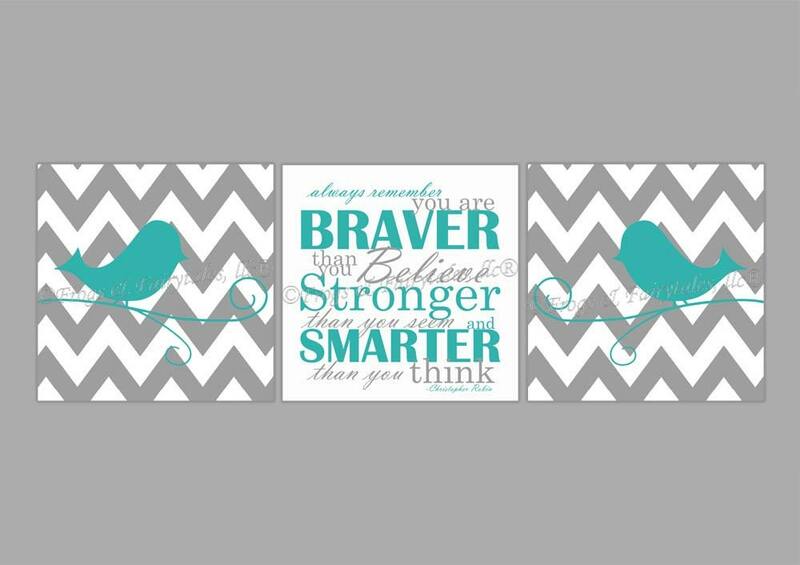 It features 2 prints with a bird on a branch, one facing left, one facing right, with a third canvas print in the middle featuring the popular Christopher Robin quote: "Always remember you are braver than you believe, stronger than you seem, and smarter than you think." This set comes with 3 gallery wrapped canvas prints, in the size you select from the drop down menu(i.e.-if you select 8"x8", you will receive 3ct. 8"x8" prints). You can select one of the color schemes shown in the listing pictures, or choose custom colors from the drop down menu. If you select custom colors, please lave your color choices in the note to seller section of your invoice. If you select custom colors, we will message you with a proof to approve or make changes to before printing them. 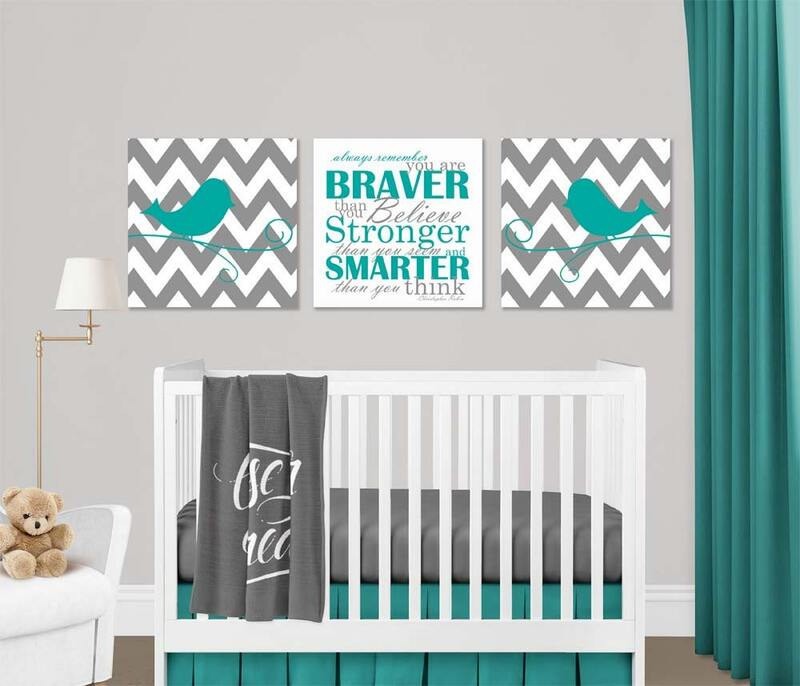 You can customize this set in many ways! Not into chevron? No problem! Maybe horizontal stripes, polka dots, or a solid color would be more your thing? If you'd like to change the design in any way, please message us before ordering with the changes you'd like to make. There may be additional fees to change the design.